Eben Task Chair range offers the modern office a beautiful combination of design aesthetic and tecnical ergonomics where the appearance takes special importance. Eben combines aluminium and mesh, composed within an inspiring composition of intensive lines and curves. 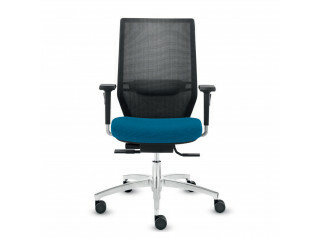 Eben Task Chair offers two types of swivel chair: one with a mesh backrest and the other with an upholstered backrest. The first one is made of a sophisticated and elegant technical mesh that provides the user with convenience and comfort. The double-frame that supports the mesh can match in 4 different ways with 2 colours – black and white. 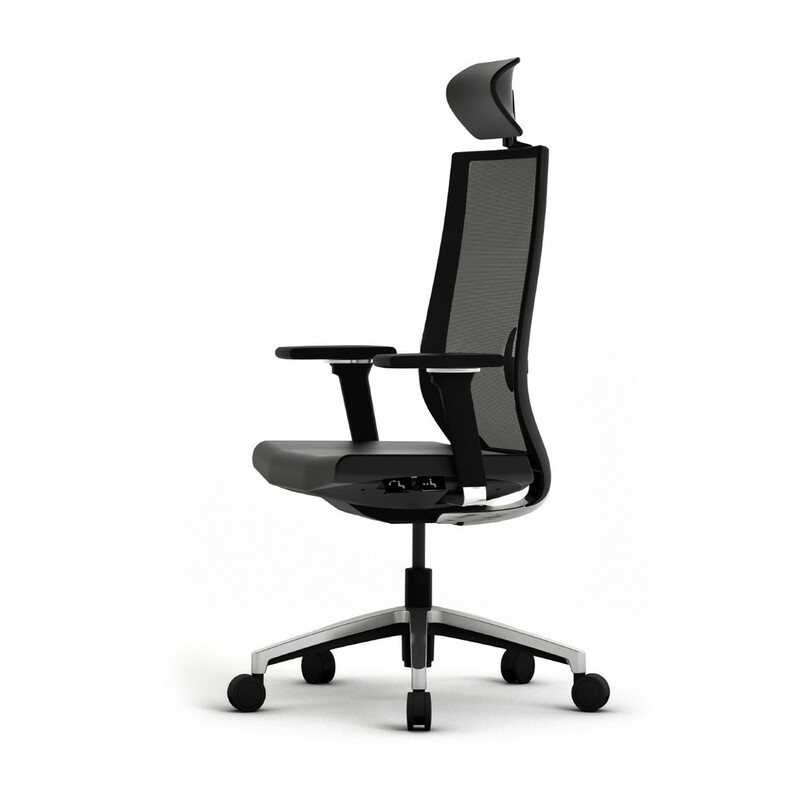 The Eben Task Chair range adapts perfectly to any operator or executive environment. Both chair versions – mesh or upholstered backrest– can include an upholstered headrest. 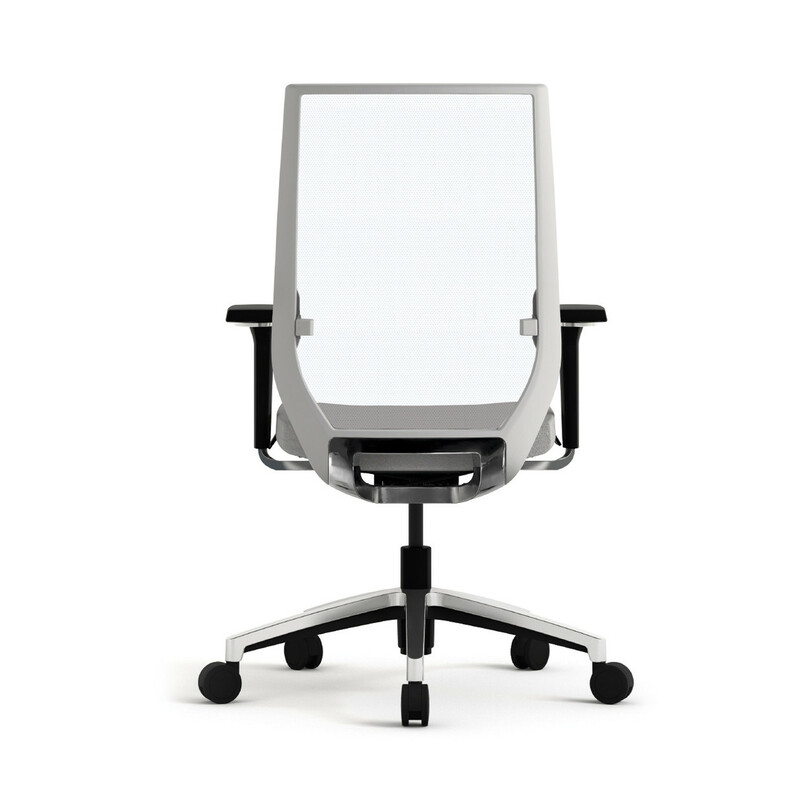 The User can choose the colour of the double-frame –inner and outer– of the mesh backrest which is available in black or white, with the possibility of combining in 4 different ways, which can be combined with a black or white mesh. The upholstered backrest comes standrad with adjustable lumbar support, while this is offered as an option with the Eben mesh backrest. Plural is the ideal visitor chair for Eben, with similar options than Eben. With two versions –upholstered or mesh backrest– thanks to its slim mesh, its black or white frame –for the mesh backrest version– and its two different frames – cantilever or 4-legged. Two mechanism have been developed for Eben Task Chair: Synchro Atom and sinchro Motion. 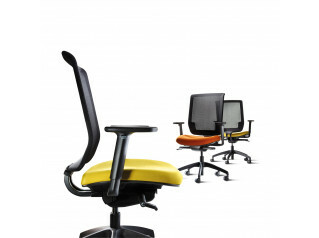 The Atom chair mechanism is capable of combining the movement of the standard synchro system with tension control. Through an innovative system, the backrest and the seat recline providing perfect support for the user’s back, keeping it in contact with the backrest at all times. 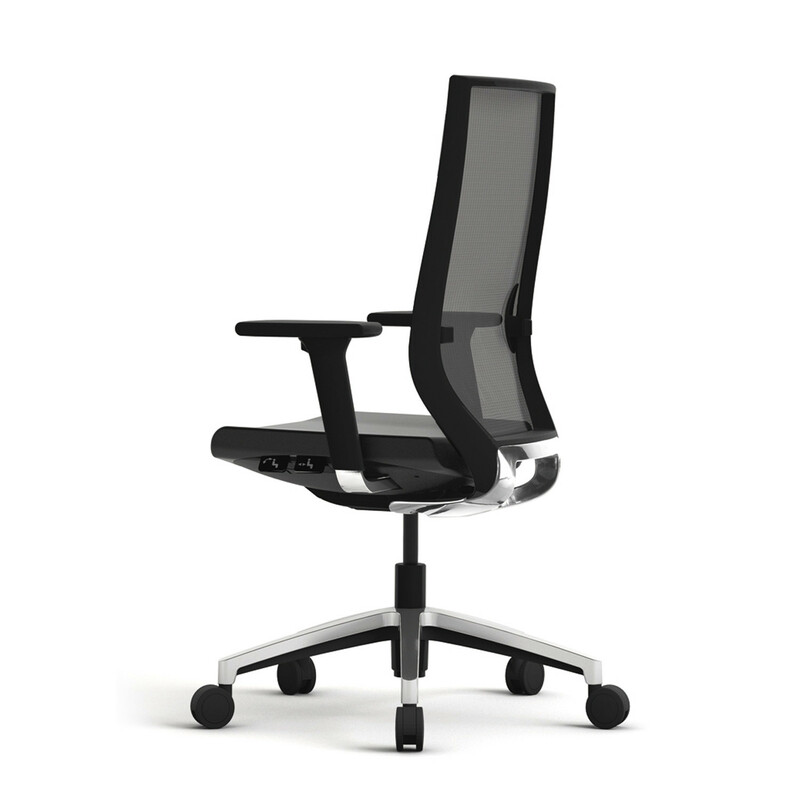 Furthermore, the backrest adapts to the weight of the user, offering the correct resistance. The second mechanisn, Synchro Motion is an important step in the evolution of the synchronised mechanisms for task and technical chairs. With a forward tilt axis, Motion provides comfort and eliminates pressure points on legs that other mechanisms often cause. Chairs with Synchro Motion support a wide angle –24° in back, 10o in seat– and a knob that offers a easy and constant resistance for adjusting the tension of the back between 45 and 120 kg. View more furniture from Forma5. You are requesting a price for the "Eben Task Chair"
To create a new project and add "Eben Task Chair" to it please click the button below. 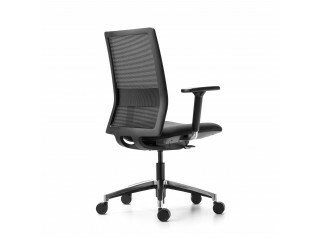 To add "Eben Task Chair" to an existing project please select below.